It’s been another mixed week in the world of LEGO®, although it has been fairly quiet with no major announcements, we have been introduced to some new LEGO themed products. The most exciting of which is the new range of clothing from UNIQLO, which celebrates the 60th anniversary of the LEGO brick. These fun new t-shirts will hopefully be heading to UK UNIQLO stores in the next few weeks. With Valentine’s Day taking place next week, there is only a few days left to use your LEGO Store calendar voucher. 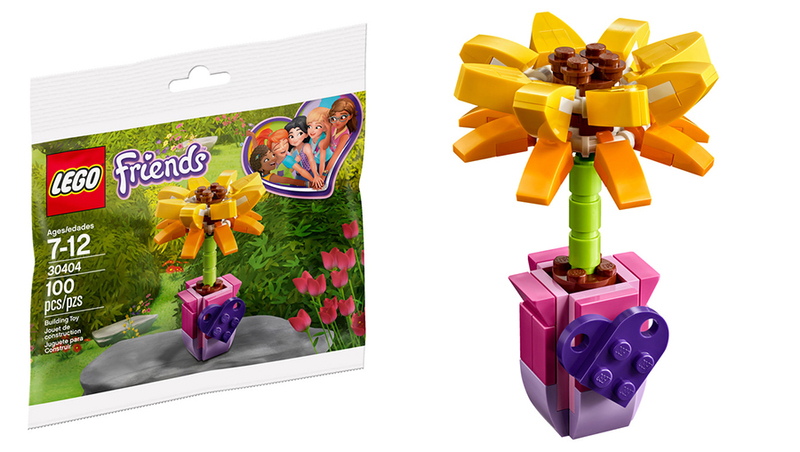 Which will bag you a LEGO friends flower set below. Don’t forget for all the latest LEGO news make sure you’re following us on Twitter and like us on Facebook.